Phil Collins use! value! Exchange! Claudia Del Fierro Politicamente Correcto! On Sunday August 11 2013, we begin at 21.00! “I was taken by their curiosity and their way of perceiving things as if each time were always the first. I liked their sense of freedom in the creative process, their total lack of academic formalism. Another feature that interested me a lot was how maladjusted the children were. All their desires, their needs, their spiritual impulse, stem from that maladjustment. Creativity springs from one’s experience and in this context it was obvious that these kids had had to reflect on what their lives were like from a very young age. Todos Vós Sodes Capitáns has won the international filmcritics’ FIPRESCI award at the Cannes film festival in 2010. Before the Swedish general elections in 2002, Monika Marklinger collected political slogans and propaganda images from the history of Swedish election campaigns. She then had Indian sign painters from Bangalore translate the ideological messages. A few weeks before the national election, the signs and the banners were installed and presented at an exhibition just a stone’s throw from the Government Chancellery Rosenbad. In the slideshow Har byggs ett nytt Sverige (“This is where a new Sweden is constructed”) we are transferred back to the original Indian context and get to observe the production of the signs and the banners taking place. The slideshow, produced and compiled by Monika Marklinger and Johan Waerndt, makes visible not only the actual conditions of production which form the basis of our everyday lives, but also poses questions concerning the prerequisites for a so-called global community. On Sunday July 14 2013, we begin at 21.00! On Friday May 24 2013, we begin at 20.00! Our 2013 season continues with an outdoor screening of We Have No Art, a film about Sister Corita made by Baylis Glascock in 1967. 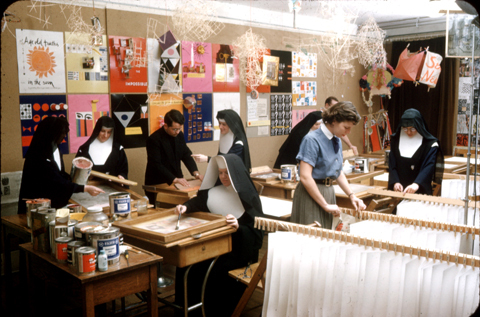 The film covers the teaching methods and ideas of artist-teacher Sister Corita Kent at the Immaculate Heart College in Los Angeles. It shows classroom conversations about art and teaching, and includes a scene with the students going on a field trip to a local car wash. The film also covers her list of Ten rules for students, teachers and life, otherwise commonly attributed to John Cage. The artvideos in The Future program have all been produced by students at Munka Folk High School during a workshop organised by the Sunshine Socialist Cinema during the spring of 2013. The students – Siri Berg, Hanna Carlsen, Björn Delgård, Karin Ellerstrand Bengtsson, Malin Ida Eriksson, Alexander Findeisen, Ryan Karlsson, Nina Myrendal, Thomas Olsson, Louise Petersson, My Sjöberg and Nils Östbrant – have worked at imagining and visualizing thoughts of the future and future ways of seeing. A folk high school is a form of popular adult education, and originated with the social movements of 19th and 20th century Sweden. As part of the Munka Folk High School celebrating it’s 100 year jubilee in 2013, we’ve arranged a screening on the lawn in front of the school. The screening starts with a Slideshow of old glassplates depicting students at the school when it was newly built in 1913. The glassplates have all been photographed by Ernst Larsson, the first headmaster of the school. On Wednesday April 17 2013 we begin at 19.00! We’re starting our 2013 season with a screening of the Enthusiasts Archive, a collection of amateur films made by Polish workers within the context of the film clubs in socialist times. In these film clubs, the enthusiasts would receive instruction in filmmaking techniques from visiting professional filmdirectors, and the films would be screened in locally arranged filmfestivals. The films often reflect the conditions of life of the workers, and the film clubs opened up a social space for critique, discussion and celebration of this life. The Enthusiasts Archive has been compiled and the films restored by artists Marysia Lewandowska and Neil Cummings after two years of research. Their interest in the Polish film clubs came from seeing the film Amateur made by Krzysztof Kieslowski. The Enthusiasts Archive will be the first introduction to a series of screenings devoted to films developed in amateur workshops led by established artists and filmmakers. “With 16mm film stock, cameras and editing tables supplied by the factory/state, a large number of clubs were created throughout Poland from 1950′s onwards. The films made, range from 2-minute animations, short experimental films, documentaries on family, village, city or factory life; to historical dramas, features and ambitious mini epics. On Saturday December 1 2012, we begin at 15.45! 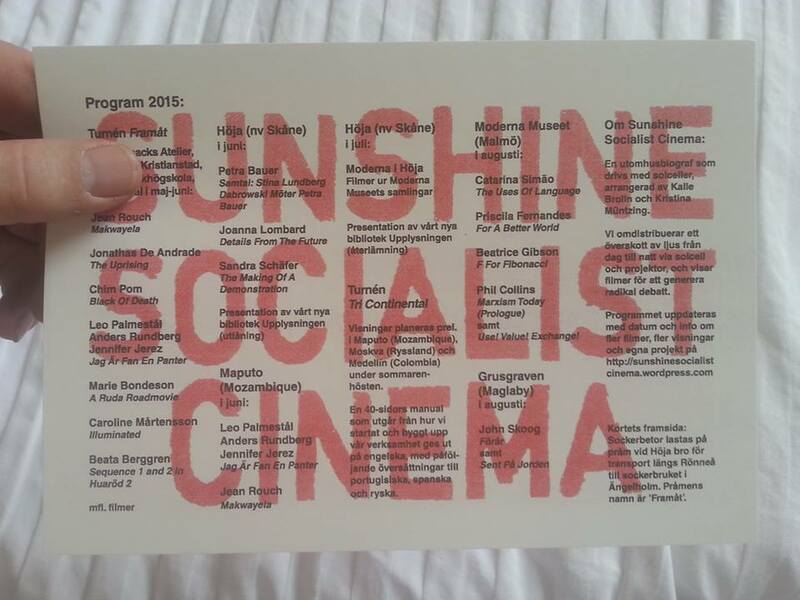 During the Socialist Forum 2012 at ABF in Stockholm, we will introduce the Sunshine Socialist Cinema to a new audience, and screen the film Stalin by Picasso or Portrait of Woman with Moustache by Lene Berg. “The project deals with the so-called ‘Portrait Scandal’, or `L’affaire du Portrait`, which later has been named the first consequence of Joseph Stalin’s death in 1953. It centers around two great, short men and a drawing that created strong reactions. On one level, it is about how two icons from the 20th Century, Stalin and Picasso, once were perceived and how much their public personas have changed since then. On another level, it is about art and artistic freedom, or un-freedom, and of ways of reading and using images, particularly images of so-called great men. But perhaps the most interesting aspect of this anecdote from the beginning of the Cold War, is how one simple charcoal drawing can initiate so many feelings, discussions and intrigues as this one did – both in 1953, and in 2008. During the Socialist Forum, The Sunshine Socialist Cinema will be sharing the stage with artist Nina Svensson and writer Margareta Ståhl, who’ll be presenting a graphics portfolio made by Albin Amelin and Ruben Blomqvist in 1933, Humanitet, with printed images protesting against the rise of fascism. We’ll look at similarities and differences in how a political work of art can be constituted and distributed. The Socialist Forum takes place between 10-18 on December 1 2012 in the ABF house at Sveavägen 41. The full program for the Socialist Forum 2012 can be found here. Stalin by Picasso or Portrait of Woman with Moustache is distributed by Filmform! On Thursday November 15 2012 we begin at 19.30 ca.! 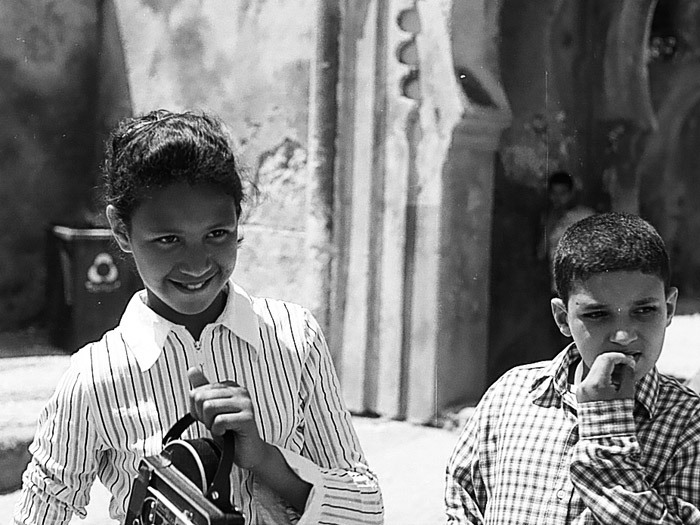 During the symposium CIRCULAR GROUNDS #1 the Sunshine Socialist Cinema will introduce a couple of clips from Kuxa Kanema newsreels, recorded in Mozambique in the mid 1970’s. Kuxa Kanema means “Birth of Cinema”. When Mozambique gained independence in 1974 after nearly 500 years of colonial rule, the Marxist FRELIMO party and the president Samora Machel founded the National Institute of Cinema in order to produce and distribute images of the country re-building itself into an independent nation. The 10 minute Kuxa Kanema newsreels were screened weekly in cinemas and through mobile screening units transported around the country in old VW buses. The symposium CIRCULAR GROUNDS #1 is arranged by Redakzia at Skogen in Gothenburg, and includes presentations by Håkan Thörn and Kuba Szreder. Redakzia is produced by curator Corina Oprea and artist Maria Draghici. Skogen is located at Masthuggsterrassen in Gothenburg. On Friday September 21 2012, we begin at 19.30! During the Open Studios at IASPIS in Stockholm, we will be introducing the Sunshine Socialist Cinema to a new audience, debut our new mobile solarpowered pocket cinema, launch an Open Call for submissions, and screen the film A Ruda Road Movie by Marie Bondeson. In 2002, the Konsthall in Virserum produced two exhibitions about local industries shutting down. One was the papermill Silverdalen, the other was Moteco in the small town Ruda. Moteco benefitted from the Telecom boom, but eventually laid off all employees in Ruda and moved its’ production to Malaysia. For the second exhibition at Virserum, the artist Marie Bondeson was asked to visualise the term outsourcing. 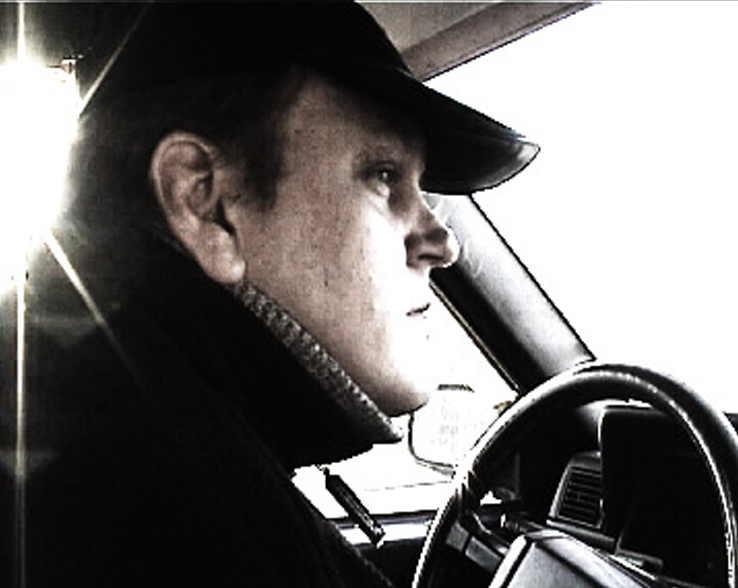 In the film A Ruda Road Movie, she follows unemployed Douglas Fransson around Ruda, while he details the effects of outsourcing upon his hometown. We also get to hear about Högsby city council making plans for the survival of the region. IASPIS is located at Maria Skolgata 83 in Stockholm. A Ruda Road Movie is distributed by Filmform! On Sunday August 12 2012, we begin at 21.00! 5 Factories–Worker Control in Venezuela by Oliver Ressler and Dario Azzellini is a film about the current socialization of the industrial sector in Venezuela. The changes in Venezuela’s productive sphere are demonstrated with five large companies in various regions: a textile company, aluminum works, a tomato factory, a cocoa factory, and a paper factory. In all, the workers are struggling for different forms of co- or self-management supported by credits from the government. “The assembly is basically governing the company”, says Rigoberto López from the textile factory “Textileros del Táchira” in front of steaming tubs. And coning machine operator Carmen Ortiz summarizes the experience as follows: “Working collectively is much better than working for another–working for another is like being a slave to that other”. Before the film we will present a slide show made by the study group of Sunshine Socialist Cinema after a field trip to the slag heap in nearby Nyvång, Åstorp. The slag heap sits atop what used to be the largest coal mine in Sweden. 500 people worked here underground, and about 100 people above ground. After the mine closed down in 1966, the slag heap more recently became the site of Dinoland, a dinosaur theme park. During the field trip, we saw in the ruins of the now defunct theme park an attempted transition from industrially based local economy to culture-entertainment based economy. Screening takes place at Höja landsväg 293 outside Ängelholm. On Wednesday July 25:th 2012, we begin at 20.30! 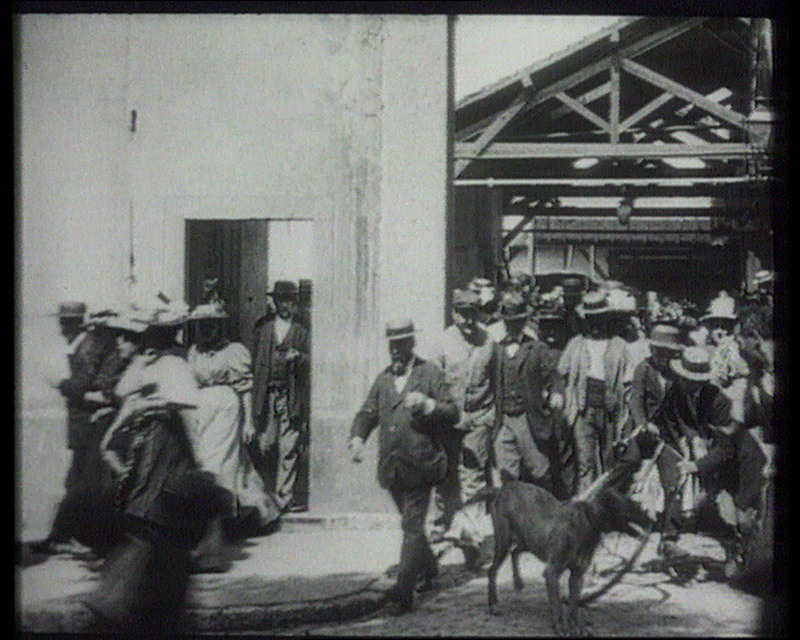 Workers Leaving the Factory by Harun Farocki starts from the first film ever shown in a cinema by the brothers Lumière, and traces the recurring image of workers exiting a factory throughout filmhistory, setting the stage for the post-industrial condition. What is the image of the worker, when the worker has left the factory, and labor is performed in every aspect of life? Is the dissolution of the workforce outside the factory gates where films pick up on individual characters and follow them away from collective life? In Politicamente Correcto!,Claudia Del Fierro dresses up like the workers at a textile factory in Santiago, Chile, and joins them whenever they exit the building for a cigarettebreak. 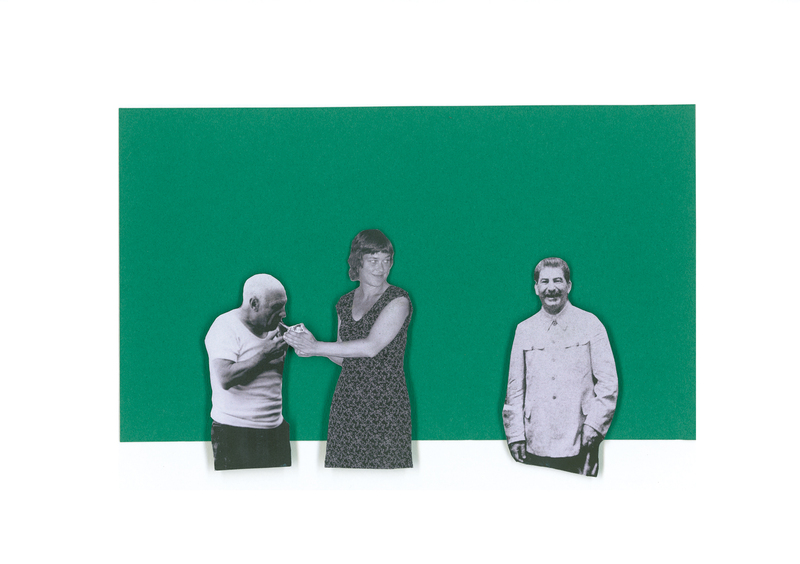 An artist blending in visually with the workers, entering and exiting the gate unnoticed, she creates an ambiguous picture of both alienation and of the artists’ desire to place herself on the side of the workers.